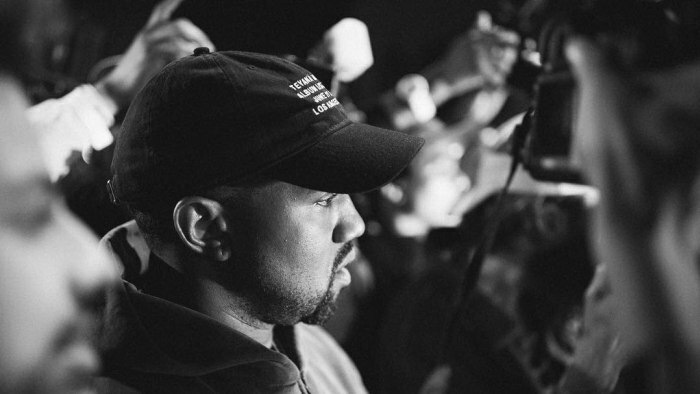 Much to the predictable horror of fans, Kanye West appeared as the musical guest on this weekend's season premiere of Saturday Night Live (Sept. 29), with no shortage of controversy. After performing a rendition of his collaborative single with Lil Pump, "I Love It"—during which both entertainers donned giant water bottle costumes—and after being joined on stage by Teyana Taylor (for "We Got Love") and Kid Cudi, Ty Dolla $ign and 070 Shake (for "Ghost Town"), the rapper went on an off-air rant that, once again, endorsed Donald Trump. While the show's producers cut off the episode before Ye's speech could be aired in full on national television, clips of the additional commentary made it to social media, with many fans noting how Chris Rock captured much of the tirade on his Instagram, unable to hold back his laughter and astonishment at what he was witnessing from the audience. During his speech, West donned a pro-Trump MAGA hat, going on to refer to it as his "Superman cape" and explain that if he "was concerned about racism [he] would've moved out of America a long time ago." After the dust settled from his spontaneous speech the next day, he posted a selfie of himself in the infamous hat, expressing how he wishes to get rid of the 13th amendment (which abolished slavery in the U.S. in 1865). As fans were quick to point out and defend the rapper in the comments section, West likely was referring to removing the amendment's wording that allows for unpaid labor from convicted criminals. Soon thereafter, he then followed up with the statement with additional commentary, clarifying that he feels the initial amendment should be readdressed, adding "the 13th Amendment is slavery in disguise... meaning it never ended... we are the solution that heals." Throughout the weekend, a handful of celebrities weighed in on the matter, including a snippet of Swizz Beatz previewing a new track that includes the repeated sentiment of "F—k the MAGA hat." 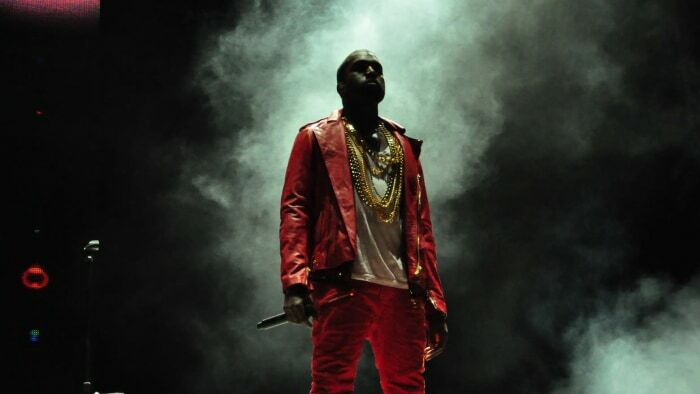 Others such as Lana Del Rey, Meek Mill, Chris Evans and Questlove also took to social media to react to West's commentary, with the overall consensus being that the world may never see the "old Kanye" ever again. Additionally, West was supposedly set to release his new album, Yandhi, in conjunction with the performance but did not deliver for an undisclosed reason (perhaps the most likely explanation being that it wasn't finished in time). After disappointing fans in that respect, his wife, Kim Kardashian West, revealed on Twitter that the project will instead be released on November 23 (a.k.a. Black Friday) and will be well worth the wait. Take a look at the video from Kanye West's SNL appearance, below, as well as see some reactions from fans and celebs alike. Like many, I don’t watch Saturday Night Live (even though I past hosted it) - no longer funny, no talent or charm. It is just a political ad for the Dems. Word is that Kanye West, who put on a MAGA hat after the show (despite being told “no”), was great. He’s leading the charge! had so much fun at SNL. Lorne agreed that I would host before the year is out. Need to set a date. Gonna be sooooooooo lit. In the words of Lil Pump ...Esskeetit ! Kanye West is one of the bravest man in Hollywood right now. He was booed off stage last night for openly supporting Trump and telling the truth about the Democrats breaking down black families. 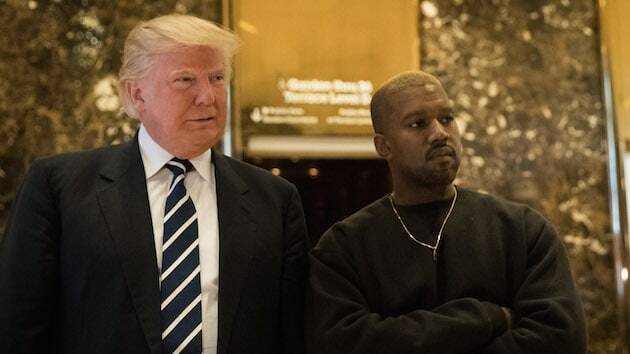 In 5 years, Kanye West is going to pretend he was in on the joke and ironically mocking Trump.